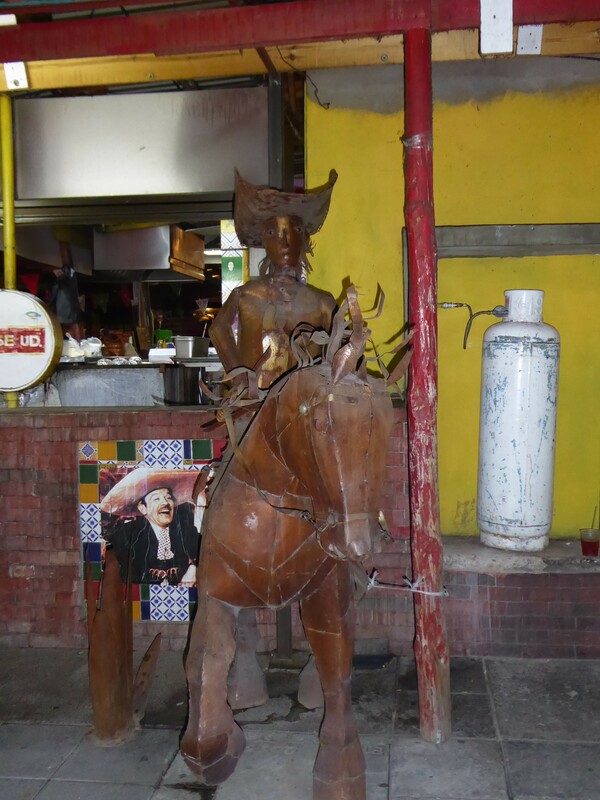 Chihuahua, Mexico is a city that doesn’t get much attention from outsiders. 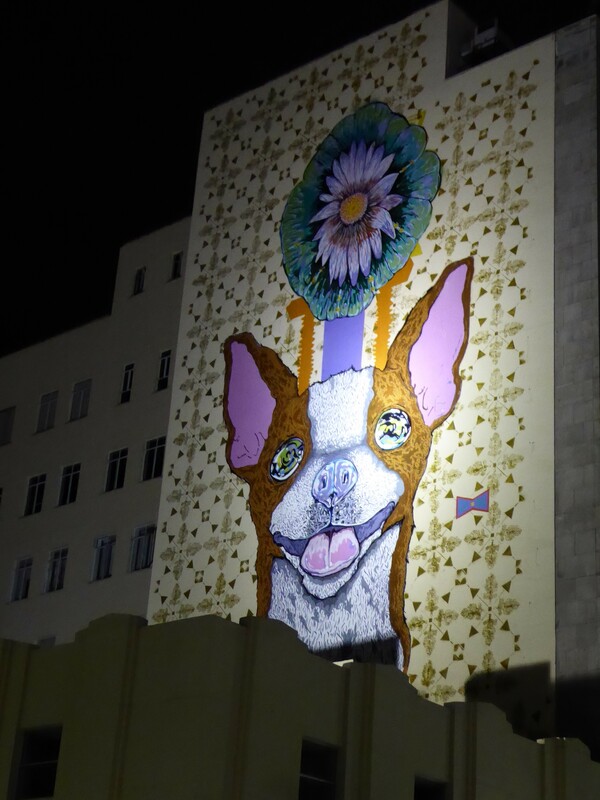 To most, the word chihuahua evokes the image of the dog. 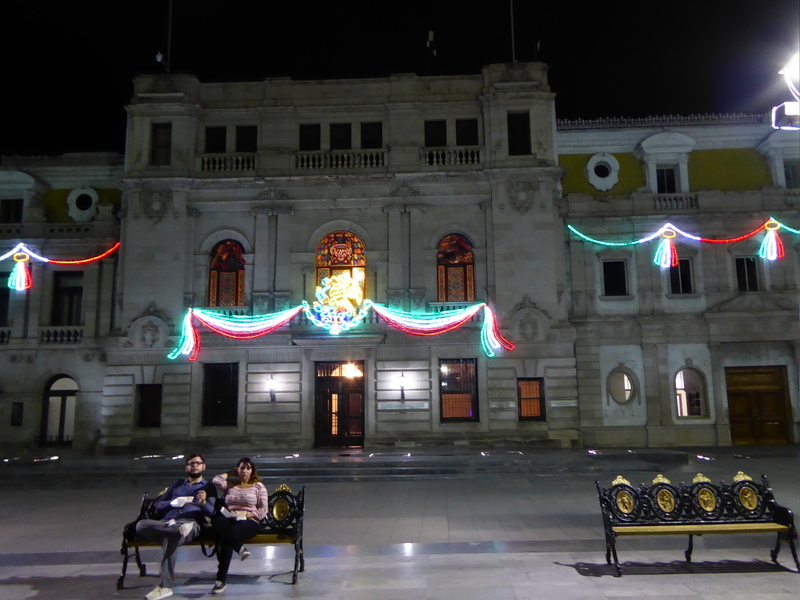 It is the capital city of the state with the same name, and was my entry point for my trip to the Copper Canyon. 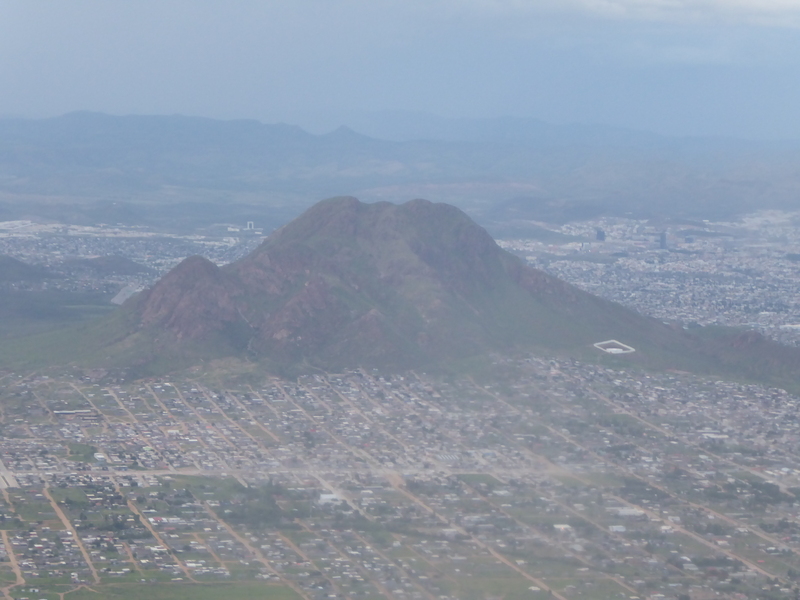 Chihuahua city has the nearest airport to the copper canyon, and is the endpoint for the train known as “Chepe” that slowly goes into the mountains. My flight was to arrive at around 7 in the evening, so I had just a little time to saunter around the central area before going to sleep. During descent, I noticed that the city itself was surrounded by mountains, and even had some mountainous terrain in the city itself. 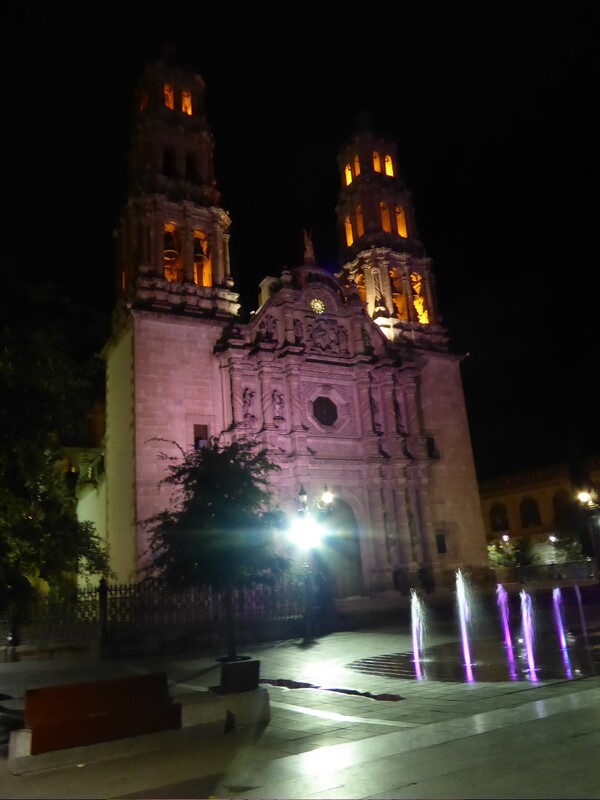 Like many Mexican colonial cities, there is a central square with a massive cathedral. 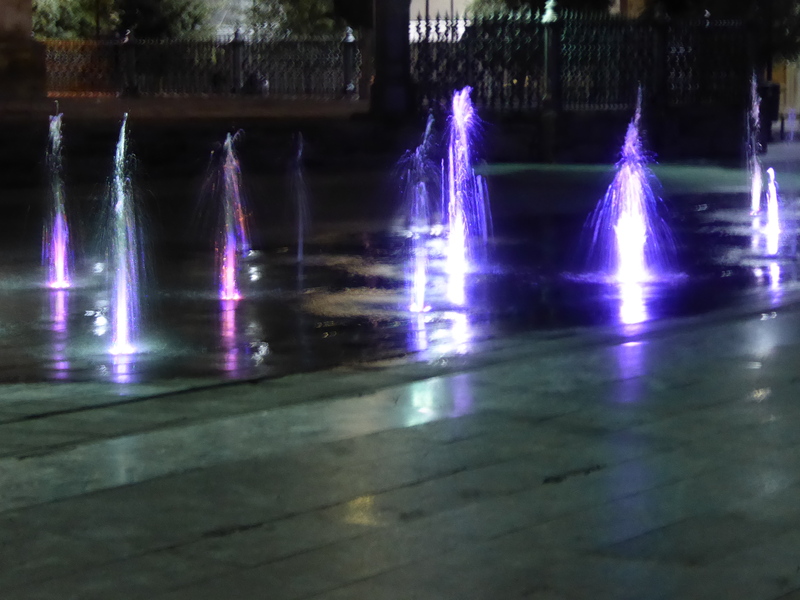 This square also had a fountain of sorts. Though it was dark by the time I arrived, there were still several people hanging about in the square, and even some female roller bladers. 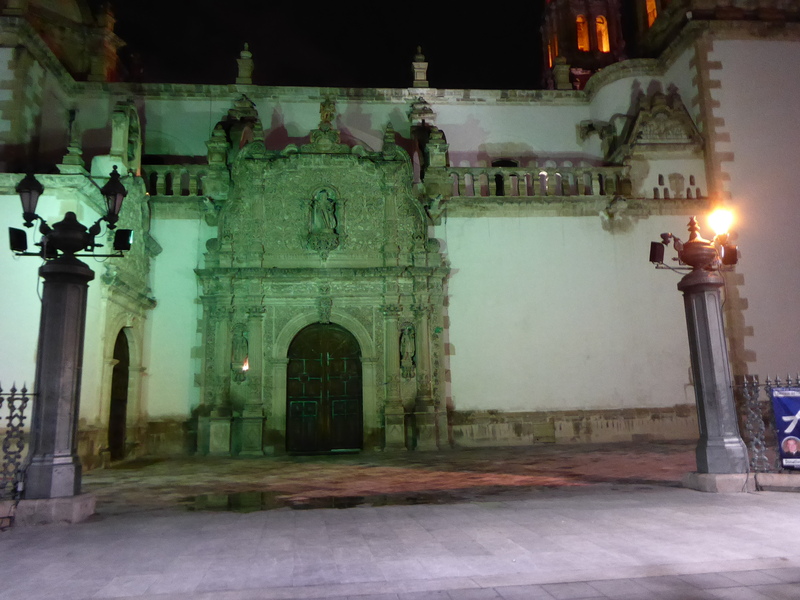 The square had a government building across from the cathedral, which was lit up nicely during the night. It seems that preparations for Mexican Independence Day had begun. There was a pedestrian street that led out of the square. There were only a couple of restaurants open by this time, serving tacos of course; Chihuahua state in general is known for its beef. 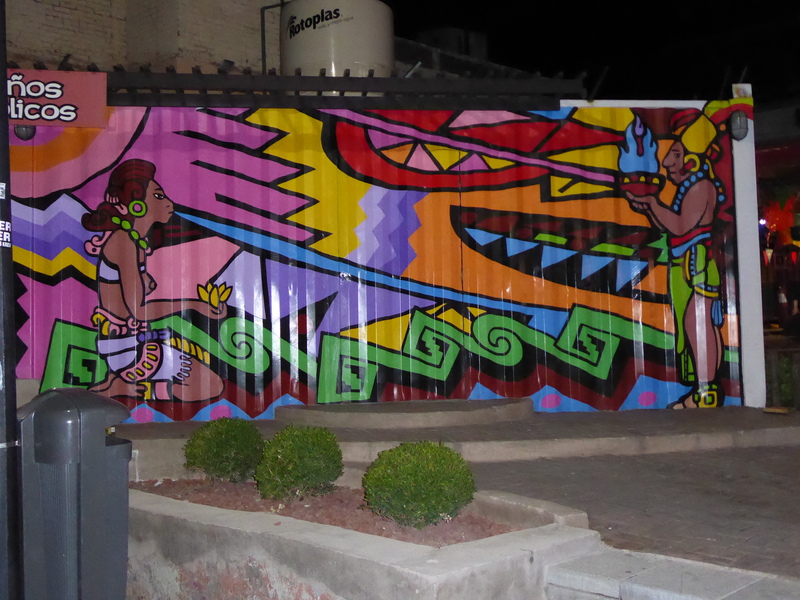 However, the most interesting thing was the various murals and sculptures in and around the street. 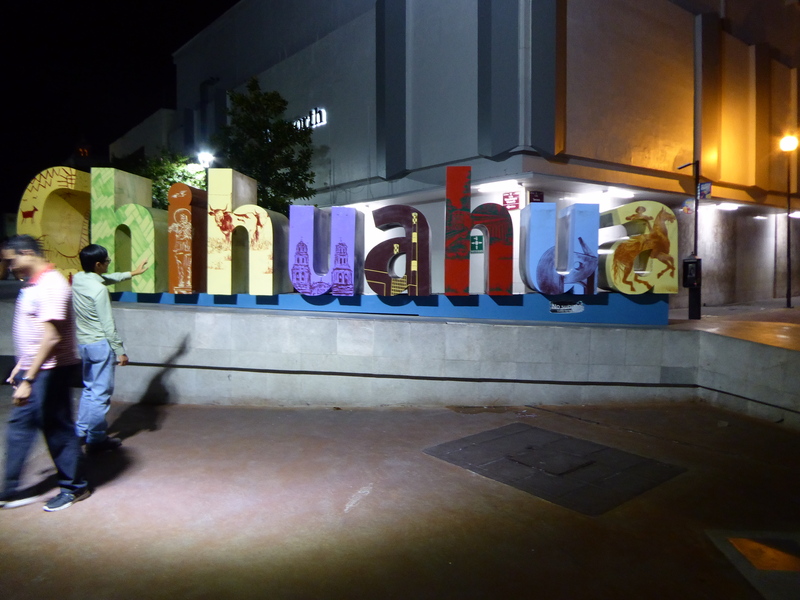 As in most Mexican cities, the name was written out in colorful blocks. What made this set stand out was that each letter had an image on it as well. After a walk around, it was time to head back to the hotel, as I had to wake up at 5 AM the next day to catch the train to the Copper Canyon. Had I some more time, I would have liked to explore the government buildings and museums in the central area. Perhaps next time.